Good Friends are like stars. We don’t always see them, but you know they’re always there. Life is this crazy thing that sometimes, and more times than not, spins completely out of control. Time is such a precious commodity and it’s the one thing we never have enough of, and can’t make more. In today’s world, it’s hard enough to find time to fit work, family and responsibilities at home in a 24 hour day. Where does that leave your friends? Sometimes we don’t see them as much as we’d like. Sometimes…we’ve never even met. Last month I had the most amazing trip to Cleveland, Ohio. I can hear you now, Cleveland? Yes, Cleveland. It was one of the most special trips I’ve ever taken as it was the first time ever, in over 10 years, my three best friends and I have been in the same place at the same time. In one case, it was the first time two of the friends had ever met. Our journey began many moons ago in an online health & nutrition group. A group of girls and I became fast friends. In a matter of months we began emailing and texting each other several times a day. There was nothing we didn’t share. Together we went through marriages, divorces, deaths and finally, a new baby! Our story unfolds at the airport. The rental car was in my name so I took the first turn at driving. Suffice it to say, after driving the wrong way down a one-way street, overlooking a semi backing across our lane and sliding into a driveway on two wheels (I have ZERO experience driving in snow), I was banned from driving. 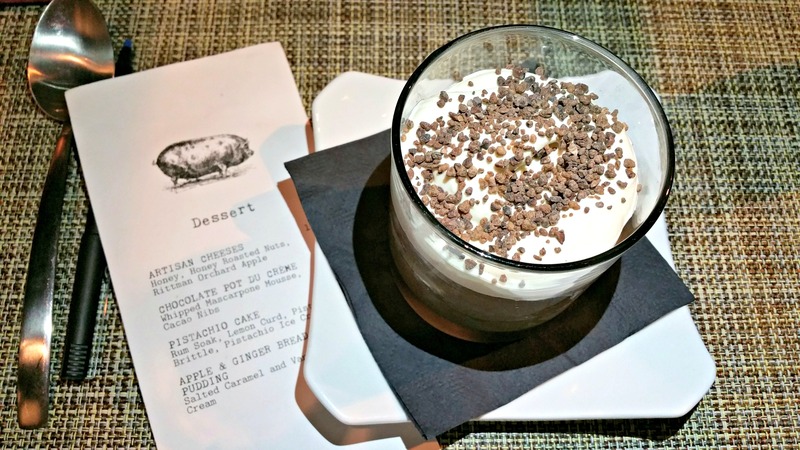 The first night we were in Ohio, I was fortunate to be a guest of The Black Pig, located in Cleveland’s premier neighborhood for dining and nightlife, Ohio City. I couldn’t have imagined a better night of food, fun and friendship. Owner & Executive Chef Michael Nowak understands the true art of food and friends and clearly never meets a stranger. He has a bright friendly smile and his eyes dance just a little when he talks about his restaurant, and his European Inspired, New American menu. For good reason. 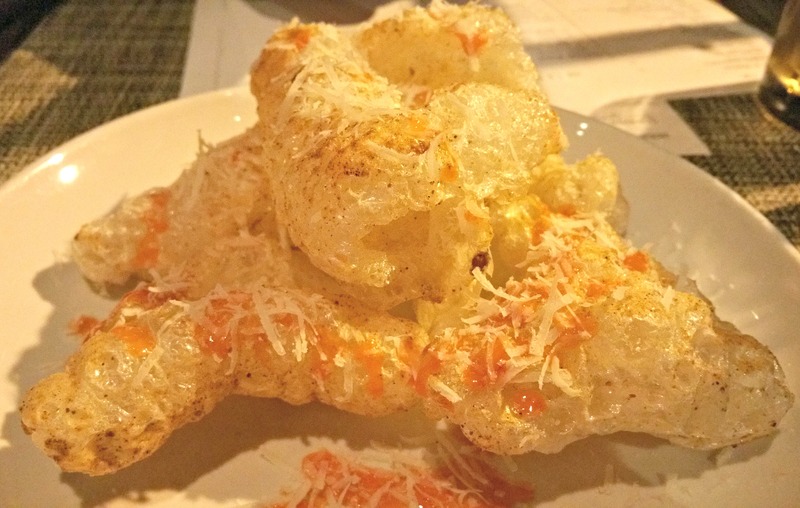 As we were seated, Chef Nowak greeted us with homemade pork rinds. As a Southerner who comes close to worshiping a good rind, he immediately became my BFF. If you have a chance to visit The Black Pig, DO. NOT. MISS. THESE. They are crunchy, incredibly delicious and insanely addictive. 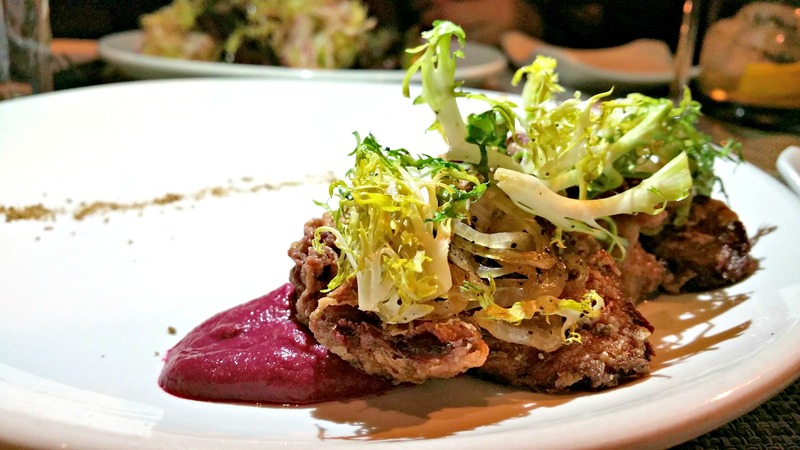 Next, was a sampling of Corned Chicken Livers with Beet Mustard and Shallot topped with Frisee. The complexity of flavors in this dish was remarkable. 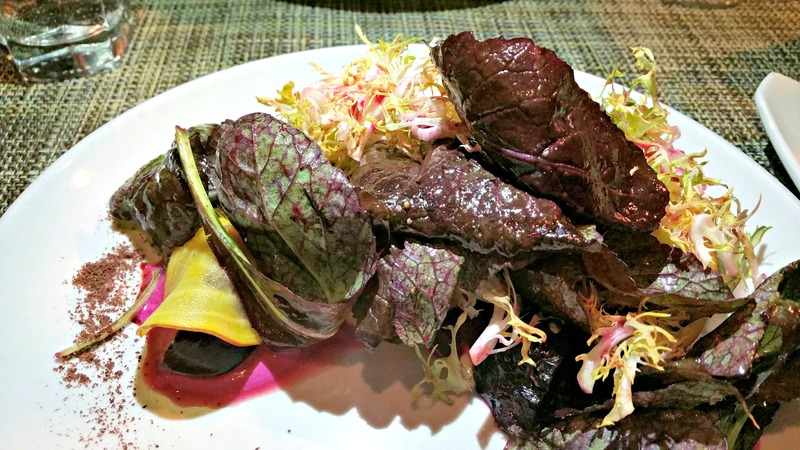 The livers were rich and savory, and the sweet tang of the beet mustard was a perfect compliment. Following in ideal tasting order was the Beet Root Salad with Beet Preparations, Frisee and an enticing Beet Vinaigrette. Pork belly with Stewed Beans, Olives, and Fresno Chili was the next offering. I can’t express how well this dish was prepared. The pork belly was rendered enough to offer a very pleasant texture and without the classic taste and texture of sheer fat. It was flavorful, very well developed and robust. After the wonderful presentation and diversity of small plates, Chef Nowak served two decadent made-in-house pasta dishes. 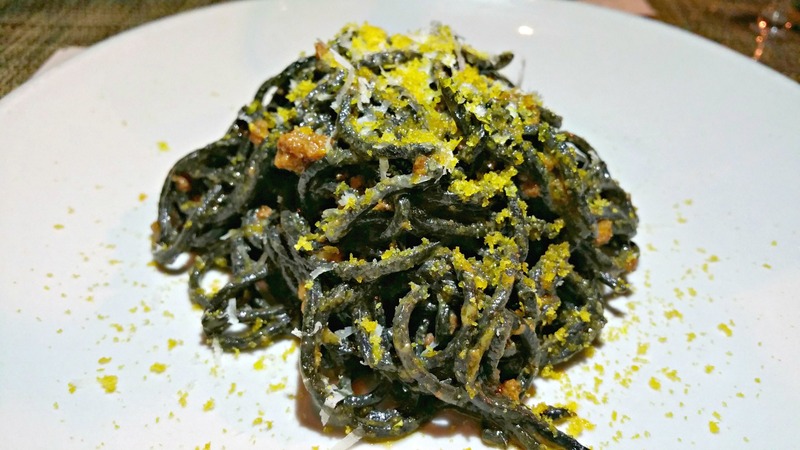 The Black Pig traditionally offers a three course pasta tasting menu that changes daily. 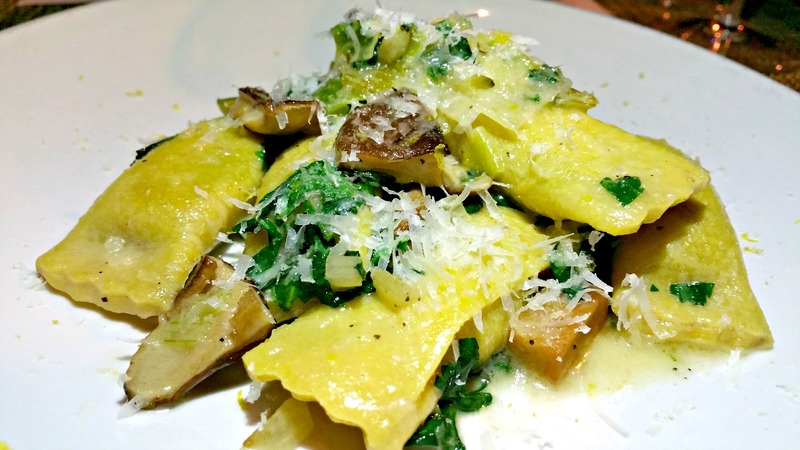 The Black Pig’s frequent menu changes are due to availability of locally-sourced, seasonal ingredients. The menu is reflective of Chef Michael Nowak’s 15 years of experience and classic training, allowing for that degree of flexibility and creativity. 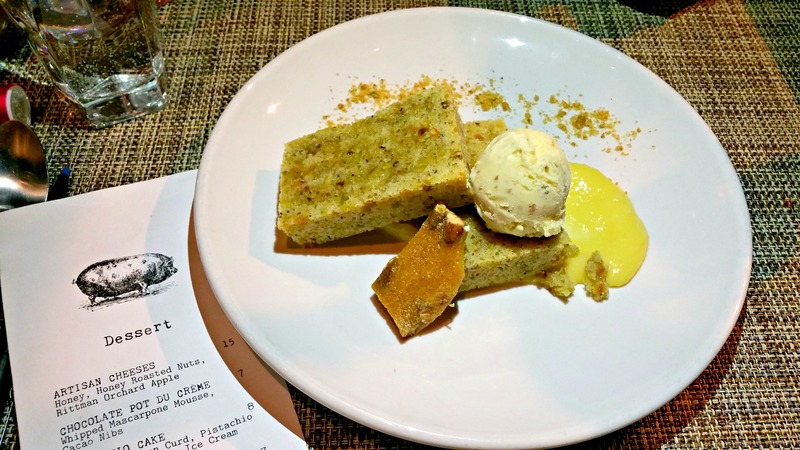 Chef then created yet another level of innovation, serving samples of his main dishes. 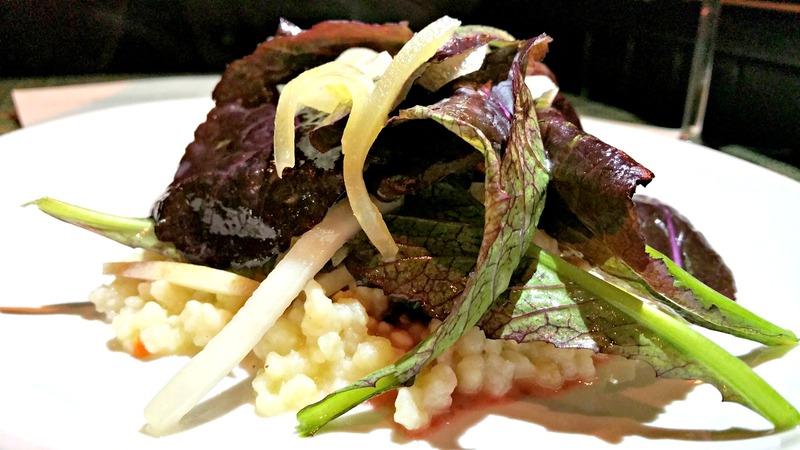 The Pork Collar was brilliantly served with Quinoa, Kale, Pickled Parsnip Slaw and Beet Demi. The presentation was gorgeous in a dish that exuded freshness and originality. 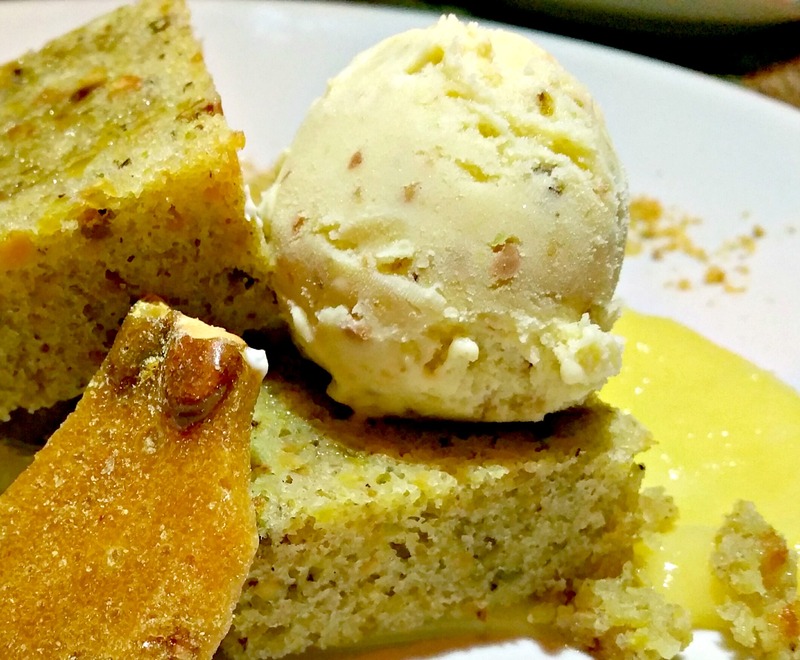 …as well as this glorious Pistachio Cake with Lemon Curd and Pistachio Ice Cream. The ice cream was the hands down dessert winner. The Black Pig also offers a full bar specializing in hand crafted cocktails, with a broad wine list as well as craft beers. To compliment our dinner we chose various cocktails as well as a fantastic bottle of Malbec that highlighted blackberry, plum and black cherry notes. 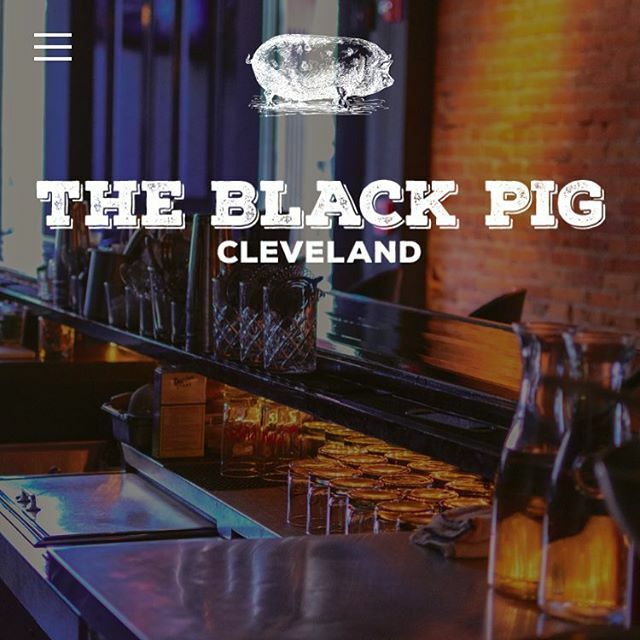 If you find yourself in Cleveland, or are fortunate enough to live in the vicinity of The Black Pig, I’d suggest making it a regular visit for date night, a girls’ or boys’ night out, or just to enjoy a great cocktail at the bar. I promise you won’t find a more stellar menu or a more talented, personable Chef than Michael. 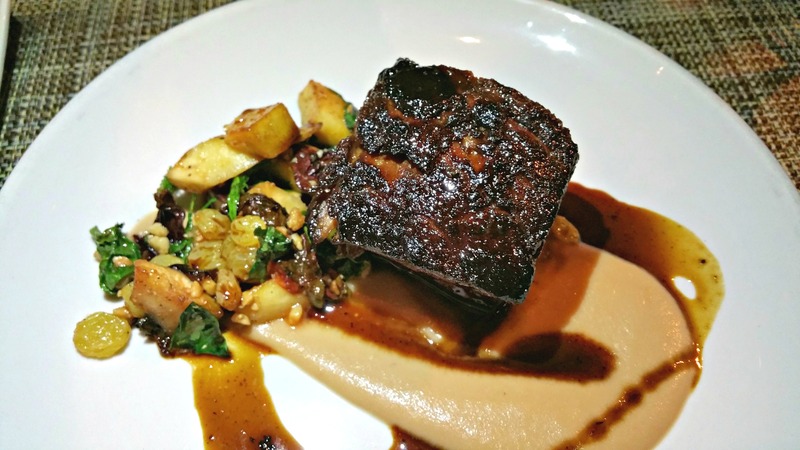 The Black Pig excels on every level of excellence and completely on par with my favorite local restaurants. There is also a separate area upstairs for private events. My sincerest compliments Chef Michael, and thank you for such a memorable experience. *A special thank you to Chef Michael and The Black Pig. Although dinner was complimentary, all ideas, comments, thoughts, swooning and drooling are completely my own.